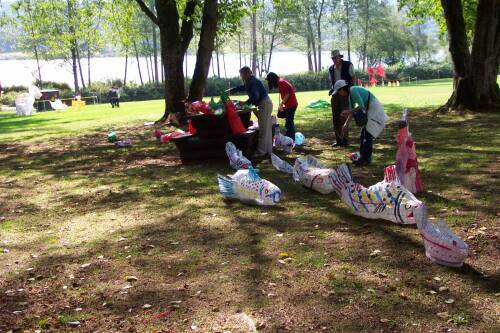 Streamkeepers set up a display at this free, fun-filled family event above the north shore of Deer Lake next to the Shadbolt Centre for the Arts in Burnaby, BC, on Sept. 20, 2003. 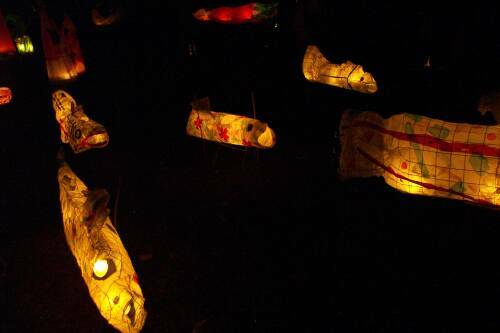 Hundreds of people turned out, and made their own lanterns at this wonderful gathering reflecting primeval aspects of numerous cultures. 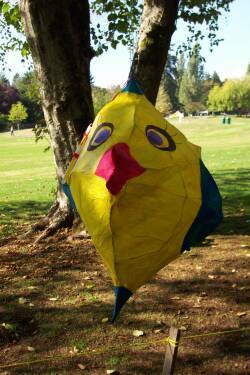 Come make a lantern next year, join the fiery parade, and watch the astounding entertainment. 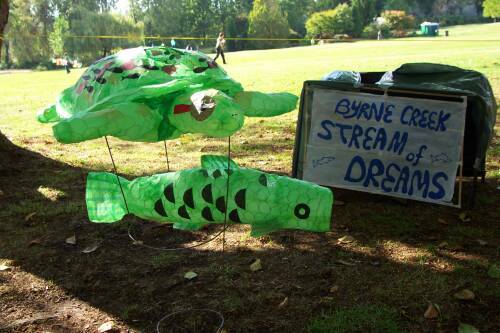 Byrne Creek Streamkeepers set up static lantern display in the afternoon prior to the event. 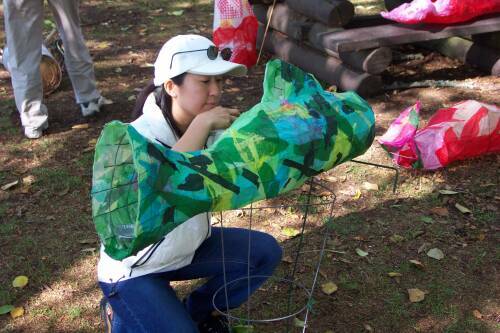 A volunteer wires a fish lantern to a stand. On the left, a wonderful frog, and on the right a psychedelic fish! 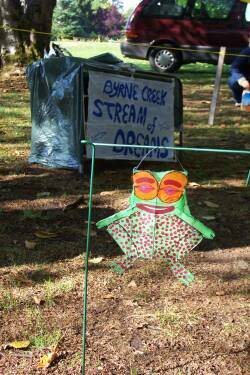 There are no turtles in Byrne Creek, though one may have been spotted in the overflow pond, yet this turtle lantern was a hit. 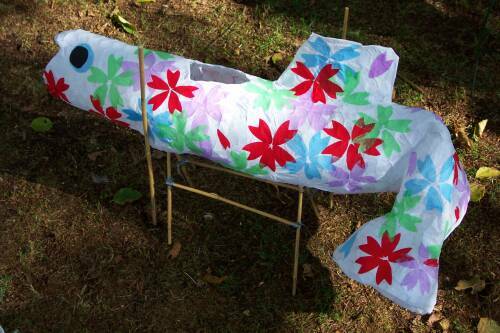 A fish lantern in a traditional Japanese motif, reflecting the wide array of streamkeeper representation. Spawning salmon swim into people's dreams, glowing in the dark with vital energy.